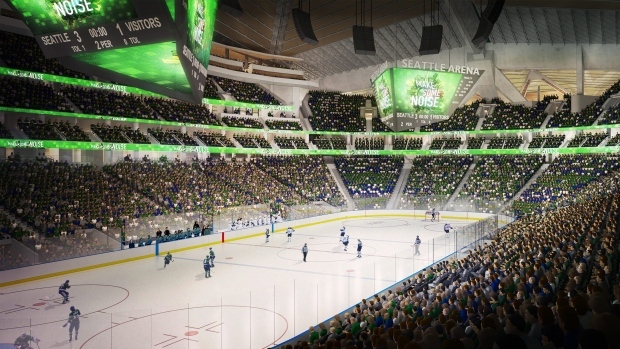 NHL deputy commissioner Bill Daly confirmed on Tuesday that Seattle has submitted an expansion application for an NHL franchise, according to TSN Hockey Insider Pierre LeBrun. In early December, the NHL invited a prospective Seattle ownership group, led by billionaire David Bonderman and Hollywood producer Jerry Bruckheimer, to formally apply for expansion as the league’s 32nd club. The filing fee is $10 million, with $2 million of that being non-refundable, even if the application is unsuccessful. LeBrun notes that the next steps for the NHL include reviewing the application, requestion the submission of additional information, conducting league due diligence, a review with the Executive Committee and a recommendation to the Board. A Seattle team would play its games out of the recently-renovated KeyArena, the former home of the NBA's SuperSonics. The Vegas Golden Knights, who are currently playing their inaugural season, paid a $500 million expansion fee. The league's Board of Governors said that the cost for Seattle would be $650 million, with potential play beginning in the 2020-21 season.